I’ve known I’ve has ADHD my whole life. But until recently, I didn’t quite know what that meant. I knew it was hard to stay still and hard to focus but that was it. I didn’t know that ADHD effects so much more. Therefore, school was terrible. I was always getting picked on. I would get really depressed because I didnt understand why I acted so weird or said and did things without thinking. My parents took me off my medication because they didnt believe in ADHD. Later in life, I developed a drug addiction to manage myself. 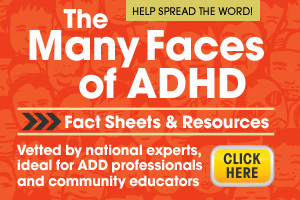 My main point here is that ADHD is REAL, if left untreated it can destroy your childs life. Get them help.